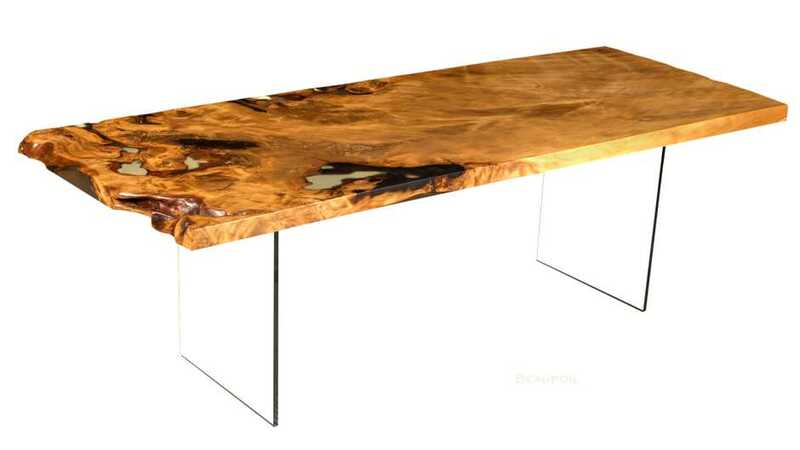 This original Ancient Kauri table by Beaupoil, with its rare root desk-top, has an outstanding natural beauty through its pronounced grain. 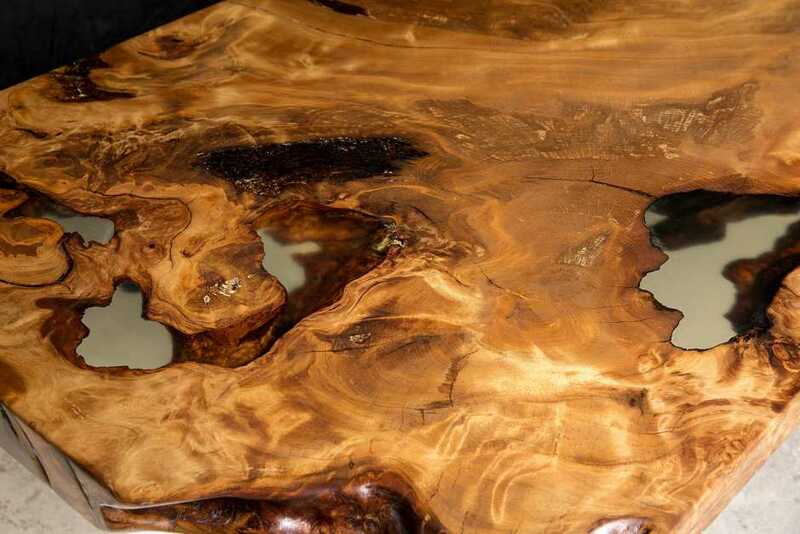 Ancient Kauri tables are objects of art, and in times of financial crises, practical and lucrative investments. 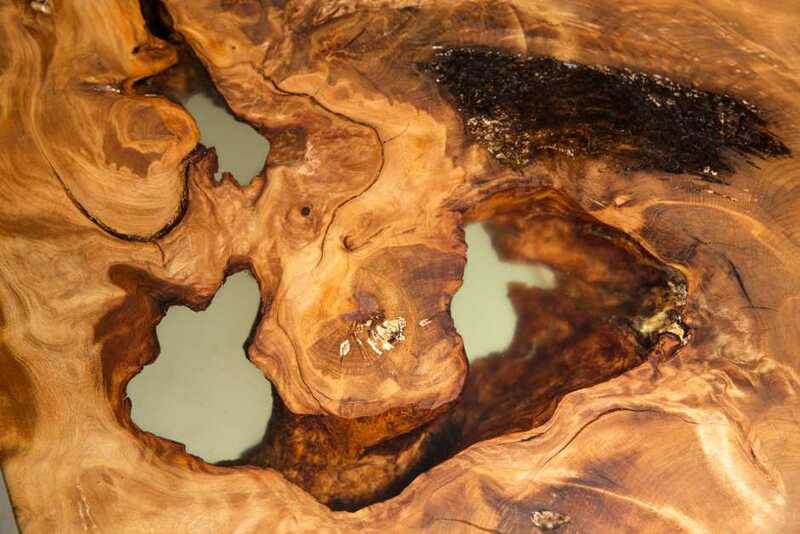 Due to the limited supply of the up to 50,000 year old trunk desk tops, Ancient Kauri tables will increase in worth. They increase the value of any room and are a eye-catcher that stimulates the senses. As a Master Cabinetmaker, I work by hand with the organic natural characteristics of each timber. 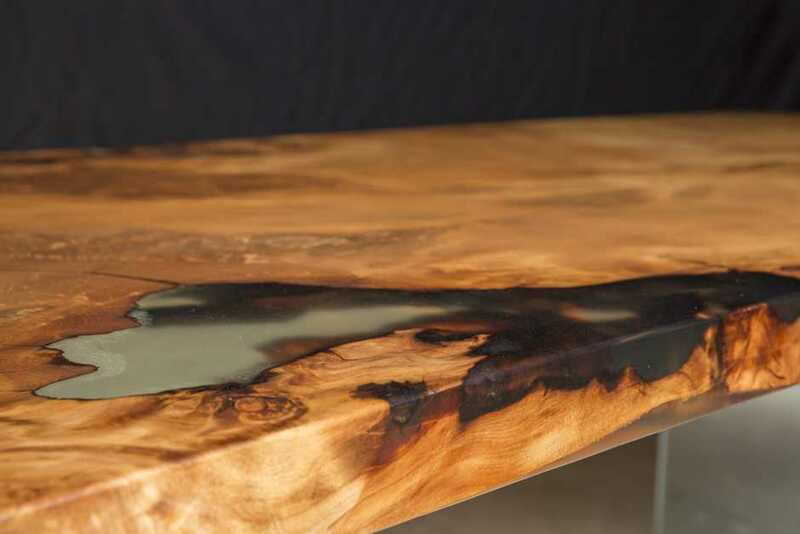 The affectionate treatment of the Ancient Kauri desk tops reveals impressive "natural landscapes", softly polished here to give a luxurious feel. can be made from them. With my empathy and humility for this Ancient Kauri timber, I will craft a unique object that will accompany you for your whole life. 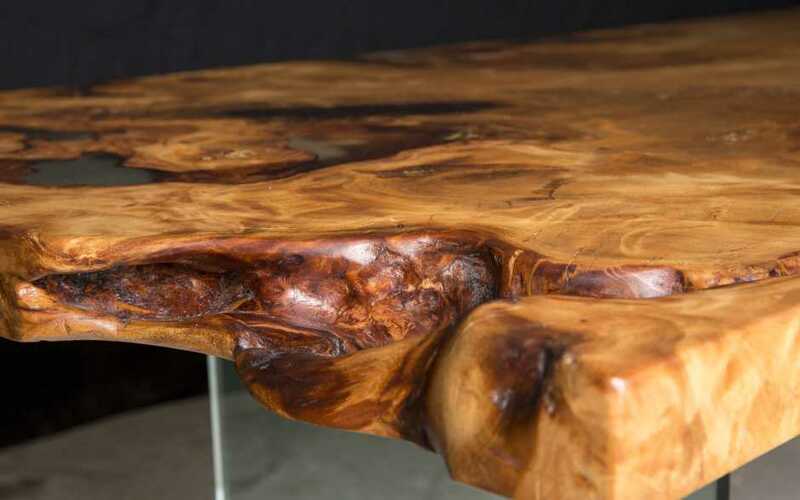 Impressive natural landscapes in the desk top of the Kauri root table. recesses prevent its everyday use. The special surface treatment helps create a table both suited for everyday life and for sumptuous dining. Grown as one unit, this exclusiv desktop reveals its whole beauty and unusual aesthetics. 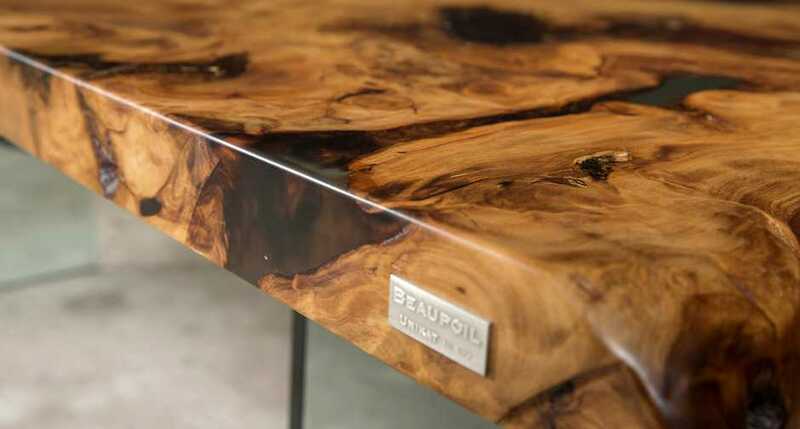 Each Ancient Kauri table by Beaupoil is a genuine original and is assigned its own unique number. Unique pieces of furniture and Ancient Kauri wood tables and dining tables are investments as collector pieces that grow in value. safe investments. High-quality furniture represents durable and long-lived consumer goods that are a reliable security. These Ancient Kauri tables can used in everyday life and provide joy due to their unique, natural desk-tops. The substance of the massive desk top will survive long into the future.